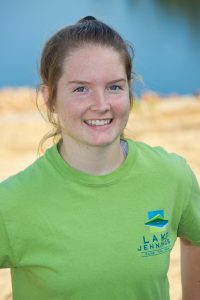 Kira joined Lake Jennings in December 2014, and was a welcome addition bringing with her a solid recreation management background. Her most recent position prior to her arrival at the lake was as the Athletic Director at The Crosby at Rancho Santa Fe. 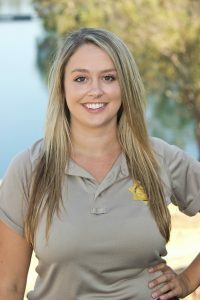 She is an East County native, with a degree in Communication from San Diego State, and is a Certified Park and Recreation Executive. You’ll spot her around the campground and lake wearing a smile and her pink steel-toed boots that Earl picked out for her. Tim has now been a Lake Jennings Ranger for eight years. He is our resident tractor expert, and is excellent at felling trees. You can find him in and around the campground while working, and even camping on the weekends for fun! Tim gave up his job as a transportation manager for a nationwide distribution company to come back to nature. He loved camping and fishing the lake, and realized it could be a career! Earl is known for his jolly personality and rainbow suspenders. You can’t miss him around the campground! 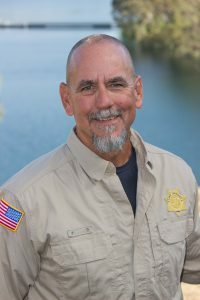 He is a volunteer firefighter with the Julian Cuyamaca Fire Protection District, with 14 years experience as a Ranger at Lake Cuyamaca, and he is still the Reservoir Keeper there. Earl has been with Lake Jennings since December of 2008, and was a Senior Chief in the U.S. Navy in his younger days. Rusty started in August 2015 as a Dockhand here at Lake Jennings and has been excelling in his new role as our Assistant Maintenance Ranger. You can join him Saturday evenings for S’mores in the campground and find him giving you gentle reminders of quiet hour and fires out time for your campsites. He graduated from Steele Canyon High School and is going to Grossmont-Cuyamaca Community College to study Criminal Justice and ultimately transition into a career in Law Enforcement. He loves the lake because of the beautiful scenery and enjoys seeing people catch fish; especially when it is a child’s first fish! 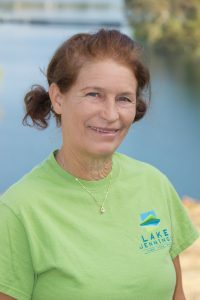 Nancy became a member of the Lake Jennings family in September 2017. She is the office assistant in the campground office. Nancy graduated from Mt. Miguel High School and studied music, mechanical drafting & some engineering at Grossmont/Cuyamaca Jr. College. She is retired from the City of San Diego working there nearly 30 years. She enjoys the beautiful scenery and peaceful setting here and loves watching the wildlife too. In her spare time, she enjoys reading, spending time with family and friends and travels occasionally. Bud is a Lake Jennings staple. He has been working at the lake part time for 30 years. He worked in publishing with the Union Tribune for 20 years and spent some time working in ship yards and on aircraft before that. He is a San Diego local who attended SDSU and studied political science and biology. He loves the lake because of the rewarding experience it brings to all. 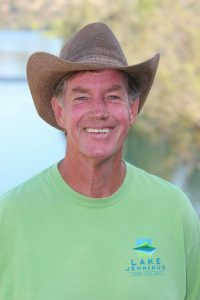 He enjoys encouraging a deep respect for nature, teaching knot tying and explaining different techniques and bait for catching fish! Glenn is really enjoying working here at the lake since he came on board in early 2016. He likes being outdoors and loves how warm the lake gets in the summertime. He finds the environment at the lake relaxing. He grew up in Phoenix and has two granddaughters ages 9 and 11 that he loves spending time with. He is a self proclaimed “vitamin junkie” and came to the lake after a career at Hewlett Packard. Come say “Hi” to Glenn at the Bait Shop! Mark has worked at the lake since late 2016 after working at Vons for an impressive 40 years! He grew up in San Diego and loves the lake because of the quality fishing. He is constantly amazed at the beauty and wilderness that is so close to the city. His favorite thing is to take the staff barge out on patrol and to help out on the boat dock. If you ask Mark if he’s a happy camper he will tell you he finally has his dream job! 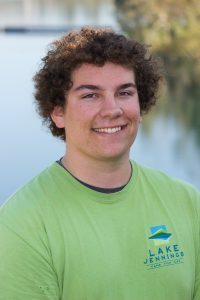 Lake Jennings welcomed Gabe to the team in April of 2017. 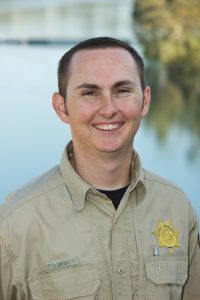 In addition to working at the lake, Gabe works as a firefighter and travels throughout the state. He was born in San Diego and grew up in El Cajon. Gabe was a regular fisherman at the lake with grandfather before joining the Lake Jennings team and even made it in the “Catches of the Week” section of the fish report with a nice bass! He continues to fish with his grandpa in his spare time as well as hike many local trails. 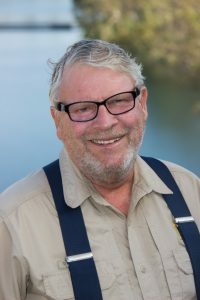 Mike joined the dock staff at Lake Jennings in April 2017. He studied Business Administration in college and worked for various telephone companies including Verizon for 32 years. 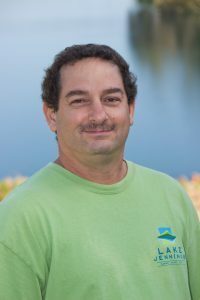 Mike loves the lake, how clear the water is and the projects that are done to improve the fish habitat. 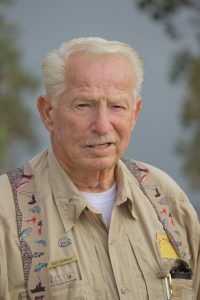 He keeps the boats maintained and enjoys answering questions about the boats, fishing, and wildlife. 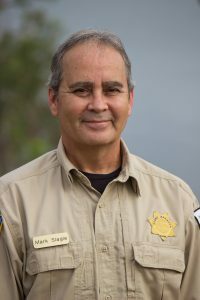 Mike takes pride in the lake and wildlife and asks that you please discard your fishing line in the trash to protect the wildlife. 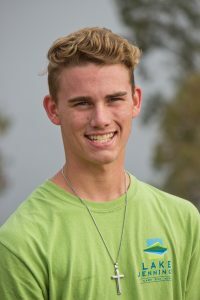 Joey joined Lake Jennings in March 2018. He previously worked in construction for about two years. He is currently attending Grossmont and Cuyamaca Colleges and getting started on his civil engineering degree. He enjoys walking around the lake with his friends and family while just enjoying the day at the lake. Joey loves how the lake is kept up extremely well and enjoys the other people who work and volunteer here. He wants to remind you not to hesitate to ask questions, all the LJ staff are here to help ensure you have a great time! 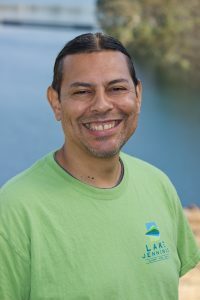 Erik joined the lake in June 2018. He is a senior at Santana High School and plays golf and lacrosse for Santana. In his spare time he enjoys going surfing and bodyboarding down at the beach. He loves the environment of Lake Jennings and appreciates how everyone at the lake makes you feel welcome. Before coming to work at the lake, Erik spent a ton of time fishing in our coves for bass. Feel free to ask him for some fishing tips! Devon is a student at El Capitan High School. She joined the lake in June 2018 and is enjoying spending her days in the sunshine down on the dock. Devon previously worked for Lakeside Stampede girls youth basketball for a year and a half. She loves to fish here when she’s not working and loves its beautiful and relaxing atmosphere here every day of the year. 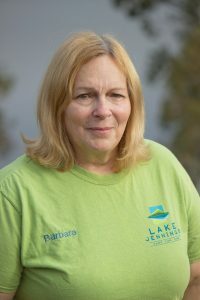 Barb joined the Lake Jennings team in April of 2015. She studied law at Lambton College and has lived on Lake Superior and Lake Huron. Barb enjoys the water, boating and sailing. She has sailed on the Atlantic and the Pacific and loves the freedom and people she has met. One of her favorite things to do here is to meet and greet our guests at the campground kiosk. You may occasionally see her lending a hand to our young campers during Arts and Crafts in the campground. Kelly has been a Park Host since April of 2017. 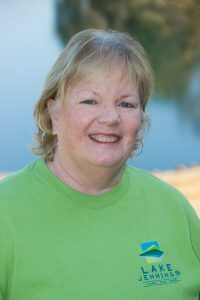 You will see her either in the Kiosk welcoming campers to the campground or making crafts in the Pavilion on Saturdays. She enjoys fishing, sitting by a campfire, making s’mores and watching families having fun. In her spare time, Kelly loves spending time with her grandkids and puppy “Chloe”. She loves the beautiful birds, trees, mountains and water views at the lake. Lori is a native San Diegan and attended Helix High School. She spent 30 years in Early Childhood Education and joined us here at Lake Jennings in 2013. Her favorite things to do here are taking walks and golf cart rides around the lake. 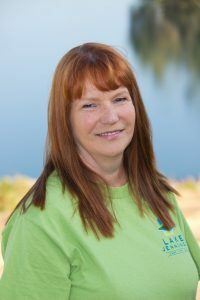 She takes great pride in caring for the natural beauty that the park and lake provide. It is full of nature and live animals. It is home to local birds that attract people and she loves to catch moments in the day when the sun dances on the water like shimmering diamonds. 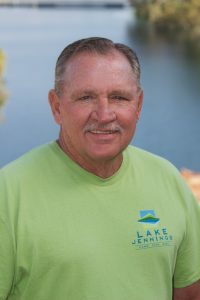 Kip started working at Lake Jennings as a Park Host beginning November 2017. He studied Business and Finance at San Diego State University and has owned Montecatini Ristorante in Northern California since April of 1994. What Kip loves about the lake are the aesthetics; the trees, birds, campers and all the critters. He loves the rocks and boulders too! Some of his favorite things to do around the lake are getting to know both the long and short term campers and feeding the birds and critters. You’ll find Kip cooking and sitting around the campfire in the evenings. 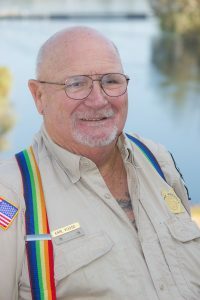 Vito joined the campground as a Park Host with his wife Deb in February 2018. 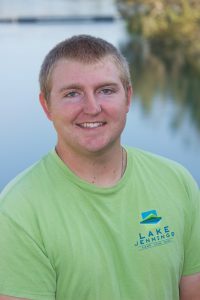 Although he is a recent addition to our lake staff, he is not new to the lake. He has been religiously fishing here since 1980 for trout and catfish. He went to local El Capitan High School, class of 1986 and studied Accounting in college in Pennsylvania. He enjoys relaxing, camping and fishing in his spare time and he is a big time bowler and Padres fan! Go Padres! 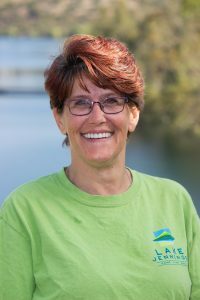 Deb is one of our newest Park Hosts who joined the Lake Jennings team with her husband Vito. She has frequented the lake with her family regularly since she was a kid. She loves fishing, hiking, nature and meeting new people. Deb attended local El Capitan High School went to the Academy of Medical Arts & Business and RN School in Pennsylvania. She also received her Bachelor Degree from Crown University. She has worked in homecare and is an account coordinator when she is not at the lake. Say hi to Deb next time you come camping!